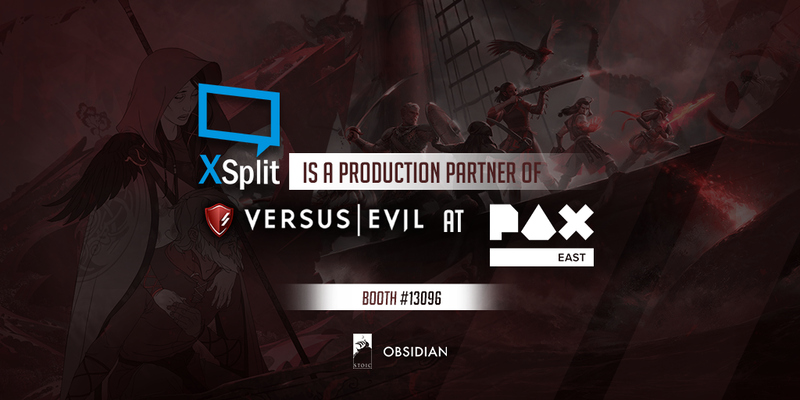 PAX East 2018 is upon us and we are the production partners for Versus Evil who will be hosting what is shaping up to be an amazing stage on the show floor! Our dedicated team of Magical Production Wizards will be pressing buttons and turning cameras at exactly the right time so everything looks stunning. You’ll find them at booth 13096 and the stream at twitch.tv/VersusEvil will be powered by XSplit. There are a ton of amazing guests, hosts and even XSplit alumni Brandon so be sure to check it out! Also say hi to AJ (OmoroiYankee) and Kevin (burnoutfighter) will be on the show floor and attending panels so come on over, say hello and maybe walk away with some XSplit swag! PAX East is always a blast and we can’t wait to see you there! Chris 는 엑스플릿의 콘텐츠 제작 및 소통 관리자 입니다. 튜토리얼 목소리의 주인공이며 각종 행사의 사회자로 활동하고 있습니다.